Pakistan Muslim League (Nawaz) president Shahbaz Sharif confirmed the death of the former first lady to Geo News. 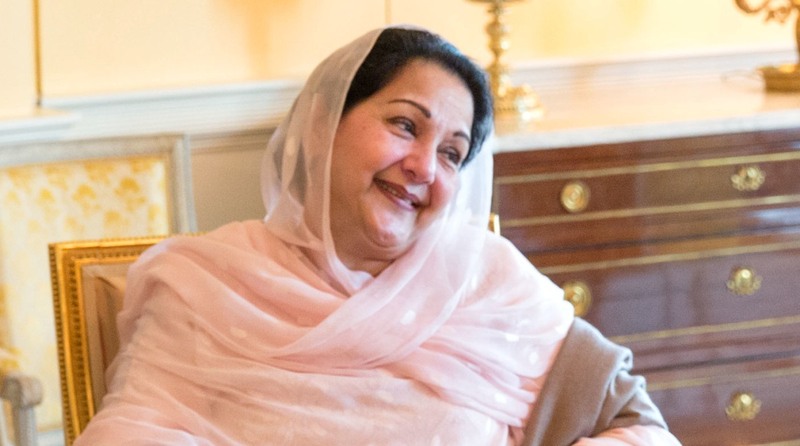 According to Pakistani media, Kulsoom Nawaz was diagnosed with lymphoma (throat) cancer in August 2017 and had undergone several sessions of chemotherapy and radiotherapy in London’s Harley Street Clinic. The News International quoted her son Hussain Nawaz saying that his mother was feeling better since last month but was shifted to the hospital on Monday night put on ventilator again. The report said that she will be laid to rest in Pakistan after her body is released by the hospital and the coroner issues ‘out of England’ order. Geo News reported that Nawaz Sharif, his daughter Maryam Nawaz, and son-in-law Captain (retd) Safdar, who are lodged in Rawalpindi’s Adiala Jail in a graft case, have been informed about Begum Kulsoom’s passing. Pakistani Prime Minister Imran Khan expressed his grief and said that all facilities will be provided to the family and heirs of Kalsoom Nawaz as per law. Quoting Khan, Radio Pakistan reported that the Pakistani Prime Minister called Kalsoom Nawaz “a brave lady”. Army chief General Qamar Javed Bajwa, too, condoled the passing of Kulsoom Nawaz. A tweet posted from the official handle of the Pakistani Army spokesperson Major General Asif Gafoor stated that the Army chief expressed “his grief and heartfelt condolences to the bereaved family on sad demise of Begum Kulsoom Nawaz”. Married to Nawaz Sharif in 1971, Kulsoom Nawaz served as the president of the PML-N from 1999 to 2002 during the reign of former president Pervez Musharraf, who jailed her husband and all his top men from the party. Born in 1950 in Lahore to a Kashmiri family, Begum Kulsoom attended Islamia College and graduated from the Forman Christian College in Lahore. She received a Master’s degree in Urdu from Punjab University in 1970, reports Dawn. She served as first lady of Pakistan for three non-consecutive terms from 1990-1993, 1997-1999 and 2013-2017.